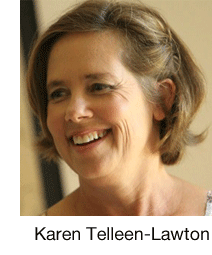 Karen Telleen-Lawton, a Certified Financial Planner®, enjoys being on the go: stand-up paddle-boarding, hiking, biking, gardening, and cooking. With her husband David she is a volunteer naturalist for Channel Island National Park and Marine Sanctuary, off Santa Barbara’s coast. Karen is the principal of Decisive Path Fee-Only Financial Advisory (www.DecisivePath.com) as well as an author and writer (CanyonVoices.com). Karen and David have two grown children, a son-in-law and two grandchildren with a third grandchild on the way. Copyright © 2019 Go60.us. All Rights Reserved.